I gripped the door handle as tightly as possible, while the truck continued up the mountain. There was no guard rail around the road that was leading us up the hill. This mountain was scary to me because I did not like heights. It was hard not to look out to the hundreds of trees in awe of all the things God had made. These tall, healthy trees surround us as we continued up the mountain. There were two other people in the car talking back and about various things. My mind was focused on both the beauty and fear that enveloped my world. I had never been to the mountains before and even though we were allowed to see the top of the tree we were longing to see in many ways words fall short when trying to describe this mystical place. Going up a mountain makes me think of the mountains we encounter in life. I think sometimes these places are hard to climb; sometimes our endurance has to be built up to continue to rise with God where ever he is taking us. I believe God stops us along our path from time to time so we can get used to the air around us. 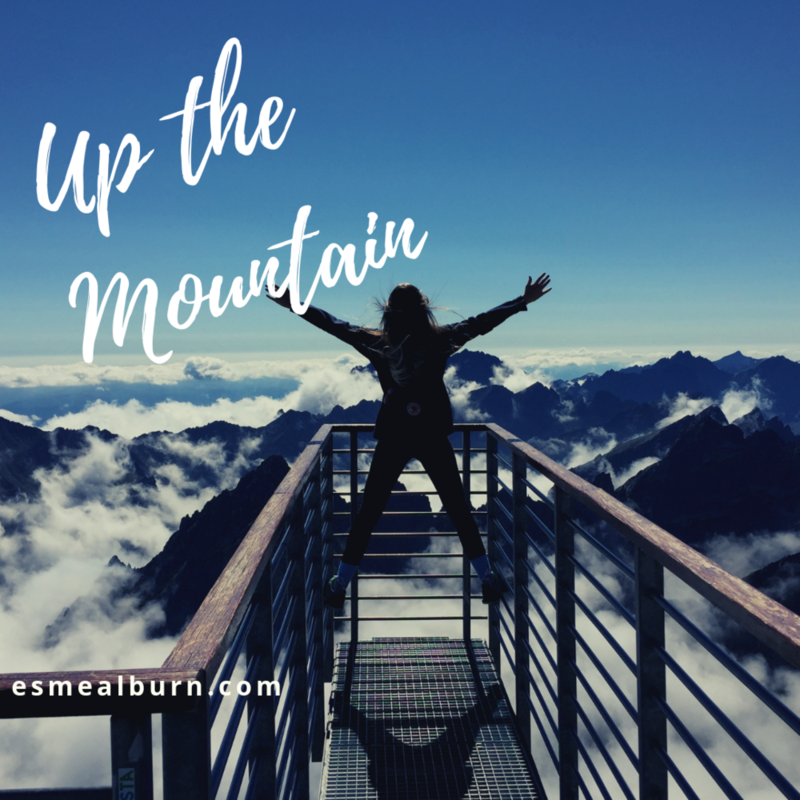 Most I have spoken with talk about mountains in a negative light, but after being on a real mountain and spiritual, I would say the climb and fear are worth it. It is a fantastic experience when God takes me up a spiritual mountain in my life. I become so consumed with my journey with God that there was nothing else happening in my life. The connection I had with God was so deep and real I couldn’t imagine ever wanting anything more in my life. I love these mountain experiences to me; it is like being on cloud 9 or something. I am just full of love, hope, and encouragement. I want to be walking every day all around on his mountain my whole life! Every minute standing on the cliff of God and feeling his presence. As exciting as it to be on the hill of God I find I do not always stay there. In fact, in the day to day life, I see sometimes I do not quite get the experience I was hoping for. My story was true about going up the mountain in the car, but the fact is we did not get to go to the top of the hill. We got to a higher point, and they needed us to put chains on the truck to go any further, and the chains were at home. I think honestly I live a lot of my chains at home and forget to take them when I meet with God. I leave them at home because frankly, I don’t want to carry them to God. I tell you what though God will call them out to you because you are not giving everything to him. 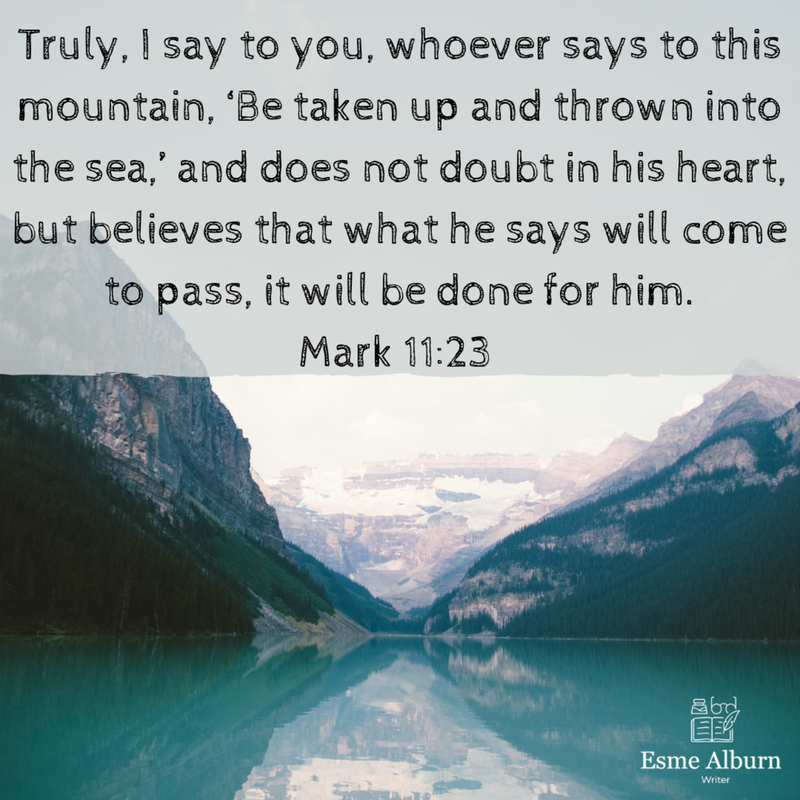 He does not want you to even have chains, and God will clear the ice out of the way so you can go straight up to the mountain top with Him. He loves us that much every day, every minute, and all the time. So, now when I climb the mountain to God, I sing this beautiful song. I stared at blank pages and screens all around me, and suddenly I was overwhelmed. There were writing deadlines to be met, blogs to be updated, and social media posts set up. If I lingered in those thoughts much longer, my chest would tighten, and my skin would start to crawl and itch. Stress can be an ugly beast and expectations in my life have been uglier. I have been trying to be perfect since I was a child. I can remember my second-grade class when I didn’t receive an A on everything I did I was devastated. I always tried to be as little trouble as possible. I remember my parents had a conference with my teacher. I was scared I was in trouble, but my teacher told my parents to stop being so hard on me. My parents were in shock, laughed, and said they had done so such thing. Truth be told they hadn’t done anything. I didn’t really understand how it all started. Yes, I am the middle child. My older brother was a handful, and my younger was just a toddler at the time. After many years of being teased and called a cry baby, by classmates and so-called friends it changed me. The thoughts of perfection continued to eat away at me. I thought I had to be perfect to be wanted and happy. So, to be clear no one had actually spoken these words to me, but they were there all the same, and those thoughts took over my mind. By the time I was graduating high school I didn’t see one of my accomplishments as good enough. Even though I was president of this or that, got a scholarship from here and there it didn’t matter. I presented myself as happy to everyone the best way I could by making them laugh while I was crying on the inside. There were less than a handful of people I showed my true feelings to. I had buried these thoughts and feelings throughout my life deep within my mind, and of course, they always pop up when I didn’t want them to. It wasn’t until I had my child I could let go of some of the perfections because I was in survival mode. It was also then I got a lot of time with my own thoughts again. I realized I was not saying these things and others were not telling them to me so why would I accept them as true. I began to fill my mind and space with positive thoughts. It helped me retrain my thought process, but ultimately my mind did not become renewed until I knew who Jesus really was. It was after I was introduced adequately to Him I could really begin to see who I had been all along. I was a child of the living God. I was a daughter of the King of Kings. My Father in heaven loved me in my mess more than anyone ever could. Jesus wanted to be my best friend forever. The more I read the Bible, the more my thoughts consistently began to alter. It was not the constant drilling of verses like I had affirmations previously, but it was deeper and quicken my spirit. I even find myself at times starting to hear those ugly lies again. I know how it is when I am not reading my Bible consistently. The more I read the Bible, the faster my mind can root out the lies trying to get in. So can I ask, whether you are a believer or not I challenge you to read your Bible daily. You will change whether you planned on it or not. I am starting the New Year late. It is the first week I have started to feel like myself again after the holidays. Every year I have been very precise about planning out my goals for the new year. However, after deep reflection of my life over the last six weeks I have decided to change some things. I went through this last year and saw everything I had not gotten done for the year and with deep sadness, I was at a loss of how to proceed. I put so much pressure on myself to accomplish great things that when I end the year no seemingly closer to my goal, I wanted to hide. I picked myself up I decided that instead of doing all of these crazy goals for this year that I would just do two. Writing has really been a focus of mine for the last six months. I have been moving back into this passion after years of trying to resist it. 2. Send out some other work for publishing. I am excited to just try to do these two things for a busy year I have ahead. I have also chosen a word to help me keep focused this year. I did this last year as well to keep me going through a very tough year. It took me a while to think about what this word would be. I took quizzes online and listened to podcasts trying to figure what my word should be. Last year it had come so naturally to me, but this year it was a battle to come across the right one. This year it is abound. It jumped off the page at me abound. I had been struggling so much this year with hope. I hope that I would get to keep my home, that I would be able to care for my daughter, that I would find someone special for me, and that I would amount to anything as a writer. I had been so beaten down especially in the family losses over the last couple of months I didn’t even know how to stand up anymore to have faith in this moment of my world crashing in. Most would put it off as me worrying too much and that I needed to have faith. God will never leave you homeless. These were all phrases coming from the right hearts, but it didn’t give me any comfort at night when I was already to the point I had lost my hope. When too many bad things where sturring up so much pain in my life. Let me tell you something, for me, I could not have faith until I had some hope. I can even think of when I first came to be a Christian it was because I finally started to have confidence that God really did love me for me before I believed wholeheartedly in Him. I spent the better part of last week filling myself up with God’s hope for my life and what difference it has made for me on the inside. I have decided to make this word abound or my overflow focus on God. Last year it was about getting through the year and this year I want to be basking in the presence of God. The top three reasons I chose to do a word again this year. 1. Helps me have focus not just on steps to make a goal but a feeling I want for the year. 2. They are more fun to me than a goal because I can play around with the definitions. 3. It is easy to pair it with a quote or scripture for the year. I found out too when it is the background of my phone or cover on social media I see it more often, and it helps me keep my focus. Is picking a word for your year what you should do? Is it too late to choose a word? Never but just so you know sometimes the word chooses you. I walked down by the creek across the bed of rocks in the valley down the hill an away from our house. The bed rocks have been pushed into a pile below in this ditch right next to the water. It was beautiful down there peaceful and a nice place to get away when you want to hear the waters moving. The day I walked down there the water was lower, and it seemed to be getting lower every year. The dry air of suffocating in the 100-degree heat. I want to go play in the water a lot as a child like most children do. I kept walking with eyes on the rocks before me to keep watch for things that slither. Snakes common in the area. Before I knew it a giant black snake slithered out of the grass in the field and was in my path on the rocks. I stopped frozen in fear, in a time before cell phones, and no one within shouting distance. Two more steps and I would have been stepping on it. The snake stopped looked at me and hissed I started to lunge toward me. I thought for sure I was done for and it would bite me, but I couldn’t move even if I wanted to. To my surprise, the snake continued on into the creek and started to swim in the direction I was head as well. I quickly turned and ran as hard as I could back to the road crying and shaking. Fear had stopped me in a critical moment in my life while I stood in a valley. I was running in the opposite direction that I wanted to go because of fear. I wonder how many times God has been with me in those moments when I ran out of fear in the opposite directions of the path He was leading me down. The truth was God was always there and still is. In that valley much like the rest of my life, I felt like I was alone. There was no bombing presence of God in my area at all, and everything was silent. In the valley, I was looking down at my circumstances instead of up to my Jesus. It was easy for me to get discouraged in the valleys of my life when God was not in my life. Yes, I have had more the one, and I think we continue to have those moments no matter what the circumstances are in our lives. Perhaps a valley moment starts with a death, divorce, or destruction. It could even start with just a series of ordinary life events that seems to not be going right. This last month was a valley moment for me many times. I had the goal of writing my novel and so many things started happening. I had headaches, rashes, nightmares, and I fell multiple times doing ordinary things. I lost members of my family. I was taken through a week of everyday things gone wrong. I did not despair, but I was still down. How would I handle this valley? Would it better than before? Would I get mad and yell? Would I be quiet and cry? Would I turn to my Father in heaven? I am sad to say I did get mad and yell sometimes. I was crying a lot too, but I also turned to my Father in the middle of my messy valley moment. It was easier to turn to God this time than the last time this happened to me. I am getting stronger in my faith and focus on Jesus. I kept praying even though each day did not seem to reach better results. I kept praying and pushing into God’s promises for me. I had to keep walking in my valley until I reached a new level of surrender to God. In the valley, there is still joy, peace, and forgiveness. A valley is a place to find God and to seek His face. It reminds me there is so much more work to be done in me. Keep walking through your valley. I have never been the best cook but I have also never tried to be either. In this age of streaming, almost any type of cooking show is out there that you could ever want and I love to watch them. It has been great to watch different chefs do their best to please the judges who are often chefs themselves. Within a few episodes, I think I would have whatever the recipe was down and seen their mistakes there was no way it I would make the same mistakes as someone else. I could win that show without a problem... queue laughter from anyone who has eaten my food.... silence because no one has. When I think about cooking, I think about my mother and my family. 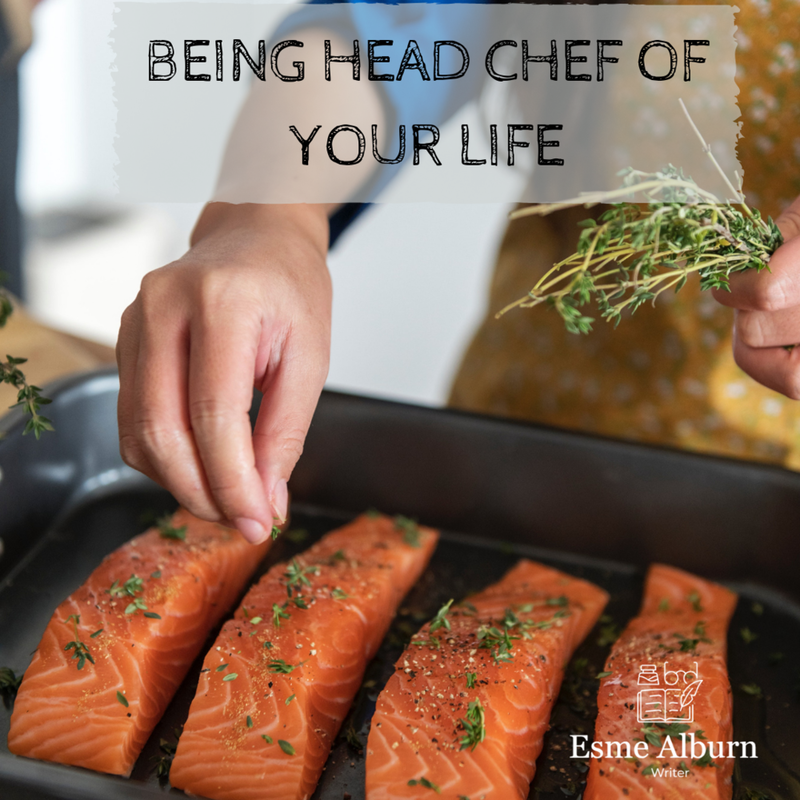 She used to say “There are too many cooks in the kitchen.” She would run me out as a child mostly because I was afraid the boiling water and splattering grease. Through this process, however, I never understood how the food was made. I knew where it came from because living on a farm you garden and we ate a bull we raised every now and then. Her point was there were too many leaders and not enough followers. I have found this situation often manifest in my walk with Jesus. There seems to be a multitude of leaders in the world and when it comes to what we think is best for our own lives. I wanted to be the in charge of my life after leaving my parents farm. I think I knew what was best for my family and I. My money was my own to spend any way I chose. I could live my life the way I wanted. I could read, eat, drink, and watch whatever I wanted or if I was with a friend they had some influence on me. I can now picture Jesus standing there waiting patiently for me to be done walking away from Him. He was in a chair by this time because it has been years since I let Him have a say in my life. He never took His eyes off me just waiting for me to give up my head chef status in my life. I would fall on face over and over I was so stubborn. It took a lot of self-inflicted pain and discouragement for me to decide that maybe I did not know what I was doing. He could tell I was getting tired so He began to tug at my spirit and heart to let Him in. I did finally let Him into my heart, and it was the most awesomesauce day ever! I was finally okay with a follower of Jesus because there is so much more I got out of life by being a follower. I wasn't about the things I gave up but about everything I got to gain by being in God's presence. He has feed me with His goodness daily. In my journey of being a follower of the head chef Jesus, I have chosen to do a lot of things I am not used to. I run everything in life by Him first. I listen a lot more than I ever did before to someone else. I look to see what His reply is when I ask Him a question about my life. I read His Word and seek His knowledge about how He would handle situations in my life. I do all of this because I love Him and I asked Him to be the head chef of my life, Lord of my life. I could have asked Him to just be my savior from hell which is fantastic, but I wanted more. I wanted my life to manifest a real change of direction. I want to be a new creation in Him and renew my mind daily with His Words. I wanted to start my eternity of worship right now. There is a difference from just wanting the get out of hell free card and wanting to be His disciple. I will not say it is always easy to say no to the latest movie that everyone else is going to because you know it will hurt your spirit. It is not always easy to fast for some answers or breakthroughs for situations. It takes discipline to pray and read His word when you don’t feel like it. It is not always easy to put down social media and push into His presence. It is all a choice I make, and it is not requirements of God to live on this earth. We have the free will to do what we like and to live as we want to. I have already lived my life how I wanted, and it did not turn out to be good for me. I want to flourish with Him now. I do not do these things because I have to but because I love Him, He has blessed my life so much, and I am so grateful I want to do the things that please Him. He stands there day after day watching you, waiting for you to say you have had enough. He longs to be near and beside you all the days of your life on earth and for eternity after that. He loves us so much even when we have made our lives the worst mess we could ever imagine and more. There is only one in eternity, and it is the head chef Jesus. This was the bedtime prayer I was taught as a child. It is lovely prayer and helped me understand I would want to be with the Lord at when I died. Heaven was a place talked about often especially when someone died I realized it was the end. As a child, however, I really had no idea what heaven was about and why this prayer would be necessary. Death was common in my life as a child, but I still didn’t understand what being in heaven really meant other than they were no longer here. When I needed help, I prayed, but even then I did not pray that often. I did not understand what prayer was for. It wasn’t until after the birth of my child that my life drastically changed and I began to understand what prayer was for. Even while I still walked in the darkness, I knew I wanted my child to have the strong faith I had seen in my classmates at a young age. I saw them strong, and they endured many things but never lost their hope. I wanted my baby to go to church and have the faith I did not have growing up. The problem was I thought the answer was a church. The truth was the answer was Jesus for both of us. I needed Him just as much as she did and more if I was going to teach her anything about God. What I found out over and over was God was using my child to teach me about Him. I started to teach my child about prayer when I understood it to better depths myself. When she would hurt herself, I would pray for the pain to leave her. When I was sick, she prayed for me. I came home from work one day, and she told me she prayed for the cat who had a scratch on her and it went away. I have been amazed by her prayers, at her relying on God before anything else in her life. We pray every morning before school and every night before she sleeps. We do not pray a formal prayer but one of conversation with God often. There was a small prayer she knew that I had taught her. Not because I wanted a formal prayer but these were issues we were having and living out. We were freezing, not feeling safe, we had bad days, and nightmares. It was important to thank God for everything we had even if it was little. I thought it was important to tell Jesus we loved him and really mean it every day. There are so many times we forget to mention to each other how much we love them. This prayer as altered some as she has gotten older and when we get to the thanking part she thanks God for her toys, every person in her family is named, all the children, the babies, and the world. There have been nights when she wants me to pray instead, and I have out loud. She hears me pray about many different things when I pray for us because I am already talking to Jesus, so I pray for others too. It is vital for our children to see us pray, and read the bible. It is essential for them to see our faith in our words, actions, and beliefs. It builds our children up, and it will build us up. I ask you to pray with your children in a meaningful way whatever way that is. It will equip them as an adult to live a life with God as opposed to without Him. Start when they are young and speak life into them. Pray the promises of God over them as infants or at any age. For those of you with grown children who may not be walking with God don’t you dare give up on them, you keep praying them through. If I was turning my life into a word what would it be…Love? Family? God? Self? Can life be described in just one word? We are gifted in the English language to have so many words to identify ourselves with, and yet these words also are not full enough to say who we really are. I find when you ask someone who they are they usually describe themselves by whatever they do in life. I think for many years it was what I felt gave me purpose. My favorite word is a worshiper of the Lord Almighty. I often find I describe myself as a Christian, single mother, daughter, sister, friend, writer, a runner, a working mom, tired, hungry, happy, sad, or a person who does know what is going on. I think I am missing the point because any of this words of the world have their own meaning to each individual. Even though I have tried hard to put myself and my world inside a box of words, there are always more to be added. There is not one word so descriptive no other word will do. I have so many words to string together could one word really satisfy me? I would say in many ways it could not, but I also think many times we use just one word to describe the world around us. Beautiful, ugly, rich, weak, crazy, fat, and thin these words seem to be the ones I hear out of the mouths of people often. Are these words exact about what they are describing? Many years ago I wrote so I would not cry and be sad. It is not how I started my writing, but it is what it turned into for a while. The emotions I felt were so real and intense I did not know what was going on. Then I strung words together only to find I was not just sad and crying for no reason, but I was heartbroken. I had lost the one man I loved dearly. For people to describe me as sad was an understatement and for others to say I was uncaring was hurtful. However, the blank pages did not judge me like we often judge each other. The pages let me pour out my grief in a way I could not with another person. Maybe where there is now beauty in someone’s life where there was pain and suffering. I have come across things that seem ugly now, but was so beautiful and still is if you would just look a few steps closer. It is a matter of what we are willing to see in someone or something. I love words and the process of what happens when you put them together to create people, moods, and settings. I try to stay true to the words I use to describe someone, but sometimes even I am fooled by my perceptions. I usually try to keep quiet, I would never want to hurt anyone with an incorrect word even if they were not around to hear it. Please be patient with people in this world. It may be easier to yell and be unkind, but it is not helpful to anyone. I love what joy words can bring. When we use these words in positive ways, we get a father proud of his children or loving his wife. A mother so strong she will not let her child see her cry when they lose their home. A child full of hope everything is going to be alright against all the odds. A friend who makes her best friend laugh when they feel the world is falling down. A teacher who encourages her shy student to keep pursuing his dreams. My point? One word is not a good judge of who a person is really. You start to fixate on that one-word description and then some words that might follow. There is so much more in a person than what we are seeing. My second point is to use creativity whether it be writing, painting, drawing, sowing, or the other 500 things I have not written to figure out who you are, and what is going on in that head of yours. Paint your fears, draw your dream, and write your future.